In February 2018, the University of New Mexico (UNM) convened the last oil: a multispecies justice symposium on Arctic Alaska and beyond. 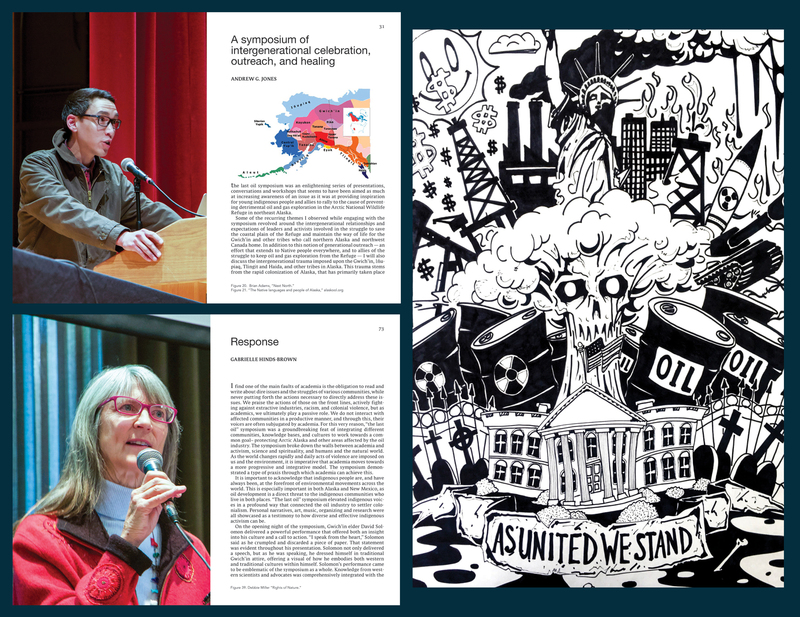 Twenty-nine artists, activists, attorneys, scientists, conservationists, curators, scholars, and writers from across the United States and Canada, gave talks and/or did creative performances—and ten colleagues from UNM and beyond chaired various sessions. the last oil was the first national convening to apprehend the reckless U.S. federal Arctic policy, and also brought impacts of climate change and Indigenous rights concerns in Alaska into conversation with similar impacts and struggles in New Mexico and the west. 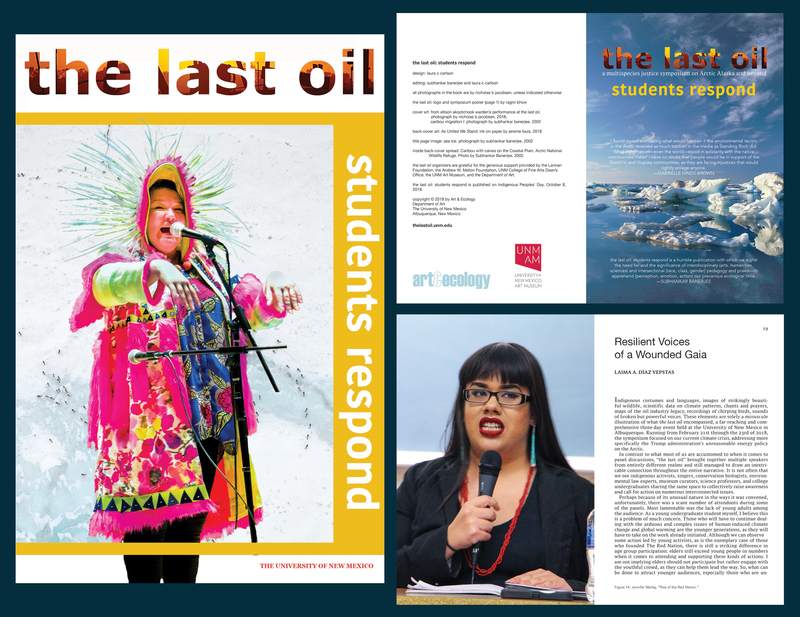 Published on Indigenous Peoples’ Day, October 8, 2018, the last oil: students respond is a 220-page collection of sixteen responses to the symposium from UNM students. The book is designed by laura c carlson; all photographs are by nicholas b. jacobsen, unless indicated otherwise. UNM Newsroom: Elizabeth Dwyer. “Symposium book champions conservation efforts and Indigenous rights.” Read the article HERE.